Here are some more quilts I made from your pattern. You can tell that I love the 12-block variation and 4 x 4. 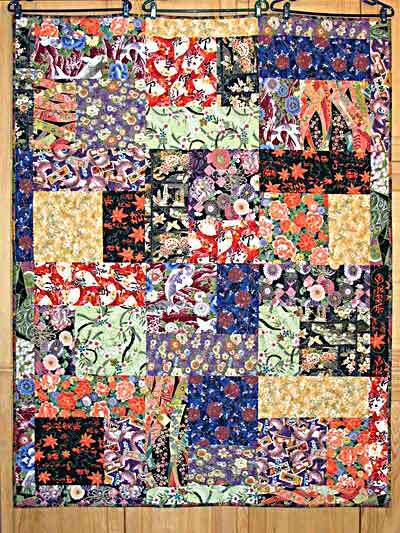 The first photo is a quilt that was made from some unrelated Asian fat quarters that I won during a shop hop. It was a Christmas present for my SO's mother, who's a long-time hand quilter and she has it displayed on a chair in a hallway of her home with her collectibles. 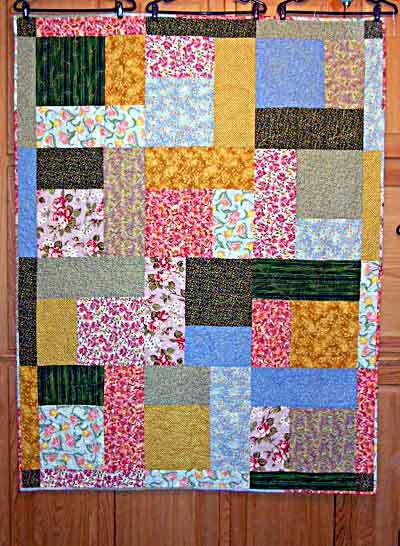 The second photo is a quilt I made from some fat quarters that a friend gave me. It will probably be a gift at my office Christmas exchange. 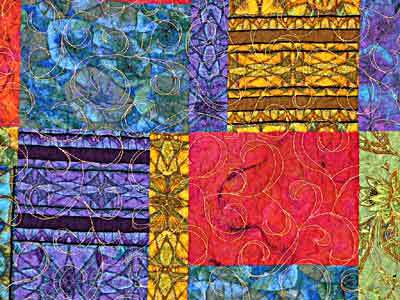 The third photo is a closeup of the quilting. It took me about four hours to quilt this, which is much less than my usual time. 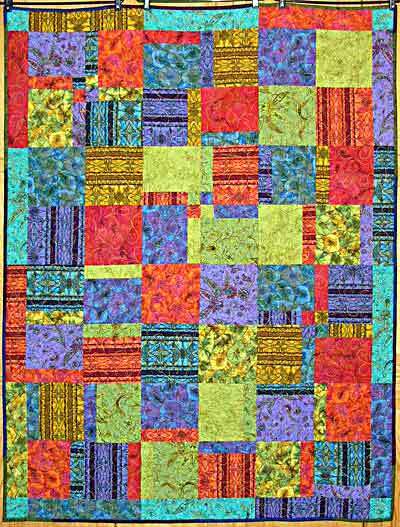 I quilted this on a Janome 6600. The fouth photo is one I may already have sent. If so, just ignore it. This was my office Christmas exchange gift for 2008. Oh, and I've attached a photo of the first Turning Twenty I made, in Scottie and dog print fabrics for a Scottie-loving friend of mine. Unfortunately, she died recently. 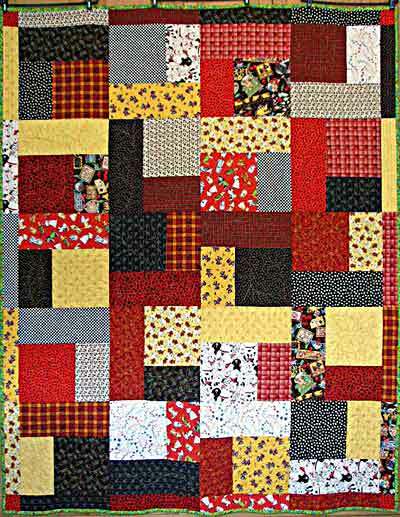 I'm hoping to get this quilt back, as it reminds me of my friend.